Students who are searching for an online writing service to get assistance with written academic assignments should exercise caution. Many of these services are not legitimate businesses; they are simply out to take their customer’s money without delivering what they advertise! It happens time and again. Students pay good money to an online writing service, thinking they are buying a custom written academic paper. Yet, what they receive in return is very poorly written or plagiarized work without any guarantees of customer satisfaction. Many of these services sell prewritten essays over and over to hundreds of students. Some of these learners study in the same universities. Thus, they end up handing in the same paper. The data contained in research papers that come from these fraudulent writing services will often contain information that should be cited. However, there will be no citations, which can lead to the student being accused of plagiarism. This can lead to the student being expelled from the university altogether! It is highly advised that students select a writing service that has been in existence for years, one that has a stellar reputation for delivering original, custom written, high quality academic writing at prices that students can afford. That writing company, of course, is ExclusivePapers.co.uk. We are the leader in the online writing industry because we do not let our customers down. Each paper that is written by the highly qualified, well-educated writers from ExclusivePapers.co.uk is written from scratch, specifically for the customer who orders it. It is guaranteed not to be plagiarized. It is of the highest possible quality. Every paper is professionally edited and given back to the customer according to the specified deadline. If you notice that your paper does not reflect some requirements, you can always request a free revision within 2 days after deadline expiration. The following list is a comparison between other online writing companies and ExclusivePapers.co.uk. One quick glance and anyone can immediately discern that ExclusivePapers.co.uk is clearly the superior writing service. We offer the services of well-educated, experienced, native English-speaking writers at prices that students can afford. Our customer representatives are always ready to assist our customers, 24 hours a day, 7 days a week. Our website is fully secure. All financial transactions are made safely and quickly. Our writers produce flawless work that is free from spelling and grammar errors and plagiarism. Our testimonials are authentically written by our customers. They are not altered in any way. Our work is fully guaranteed for customer satisfaction and high quality. It is also guaranteed to be completed on time. ExclusivePapers.co.uk operates a 100% secure website. Our competitors charge very low prices per page. Then they outsource the writing to non-English speaking natives from the third world countries. They are not qualified to take on these tasks. The resulting quality is very low and the price ends up being extremely high. Our competitors have non-existent or unresponsive customer service departments. When a student needs help, no one is there to assist. 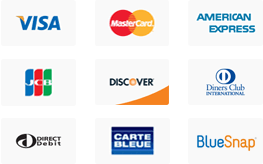 Our competitors use merchant accounts that are not secure. They place their customers at great risk of having their personal and financial information exposed. Our competitors produce plagiarized or poorly written work. Our competitors’ testimonials are not authentic. They are written by employees of the writing service and placed there to deceive the customers. The â€œhacker safeâ€ logos used by our competitors are fake. Their websites are not secure. Students should exercise extreme caution in dealing with writing services that claim to provide custom written work at extraordinarily low prices. These services usually end up costing students much more than they bargain for, both financially and academically. The quest to save money and buy papers at lower prices is an excellent strategy. However, many of our competitors tack on extra fees and pad the charges. As a result, the final cost of student paper is much higher than he/she is originally led to believe. Not only that, but the costs academically, can be exponential, especially given the fact that many students are expelled for handing in work that they are led to believe is original, but that turns out to be plagiarized. It is highly advised that, before investing in writing offered by any online writing service, the student carefully read the company’s pricing policies, terms and conditions, guarantees, etc. He/she should do some extra reading online to check out the service’s reputation. We feel confident that in the end ExclusivePapers.co.uk will be the right service for any serious student to choose. We provide the best work, have the best guarantees and reputation and charge the most reasonable prices.